PremAnand, 29 Apr 2014Guys, XOLO Q700 is excellent mobile, but the problem is with the service providing from XO... moreAsk xolo for ur handset replacement...as u got the defective handset...then may be u get ur battery...if they not going to change ur handset...Battery has 6 months warranty...and a new genuine battery should last atleast 2yrs. manoj, 30 Apr 2014This phone is awesome worth buying it !! After rooting it is brilliant!! How did you root it ? 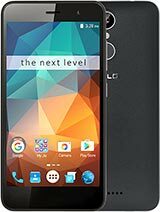 This phone is awesome worth buying it !! After rooting it is brilliant!! XOLO Q700 is excellent mobile, but the problem is with the service providing from XOLO. In this whole world you cannot get a battery for Q700 or any XOLO mobile from XOLO company nor elsewhere. My mobile is under warranty, but still i could not get a battery replacement for my mobile. I searched to all sources and it is not possible. The answer i got from the customer care of XOLO is "Sir, we are not manufacturing battery for that model, you need to wait to manufacture and then you will get the battery.. but not sure when you will get the battery".. If this is the answer who will buy the mobile from XOLO. Guys take your own decision.. i am fed up with XOLO due to lots of pain.. going to buy a new mobile which is not the company of XOLO. 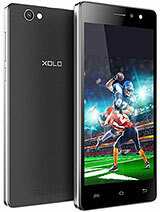 Just bought Xolo q700s! Its stylish, decent body, specification (which you'll find in many other phones which are selling at double prize as compare to this one). Performance is fine, everything is working as its supposed to work. Have played heavy games and got hand on the camera, both are providing superb results. The only negative features which made this beauty been neglected, is the speaker volume is bit low. Rest the things like battery & camera, u have to handle this baby efficiently. In my case i spent 5 hours on wifi, 1 hour on listening music, gaming and rest on data package. Still i manage the battery for the whole day till the night. 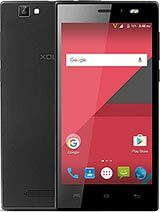 Which one shud i buy XOLO Q700S or Karbonn Titanium S5 Plus?? i am gonna use it for gaming.. and i am sometimes gonna use it to take pics.. and rarely to watch hd videos and movies.. So whihc one is better?? 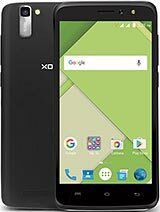 about gpu of xolo q700s which is said to be mali 400mp2 ( dual core graphic processor), i have checked it twice and it has to a single core mali400 gpu. what to do guys those guys are fooling us by printing the name of dual core gpu and inside the reality is something else suggest what should v do? Phones are great in specification and design i love this devise. I have purchased Xolo Q700s, but my phone is getting heat while charging the battery and getting hanged? 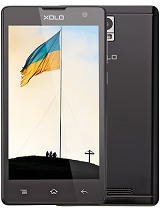 Guyz which one shud i buy XOLO Q700S or Canvas 2.2 A114?? my primary use will be gaming only.. and osmetimes will take some photos and watch some movies rarely..
guyz i ma gonna buy it in a few days from flipkart..
so shud i uninstall all the xolo apps after i get the phone?? becoz many people saying that phone works fine.. after disabling those xolo apps..idk waht to do.. plz give me some information abt this. Inder, 23 Apr 2014Dont buy Lenovo A526 bcz it will heated badly around the camera portion. and battery drown ver... morekk... have u used it?? AnonD-255501, 22 Apr 2014guyz shud i buy this phone??? or shud i get Lenovo A526.. i am gonna use it for gaming.. and ... moreDont buy Lenovo A526 bcz it will heated badly around the camera portion. and battery drown very fast. guyz shud i buy this phone??? 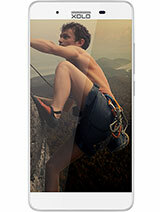 or shud i get Lenovo A526..
i am gonna use it for gaming.. and some rare photo shooting.. Yes, I have bought it in Gold Color, Its really stylish.